Use this product to extend power outdoors for anything from decorative lights to powered fountains or even power tools. The green jacket is intended to blend in with grass and other plants so that what you are powering becomes the focus. 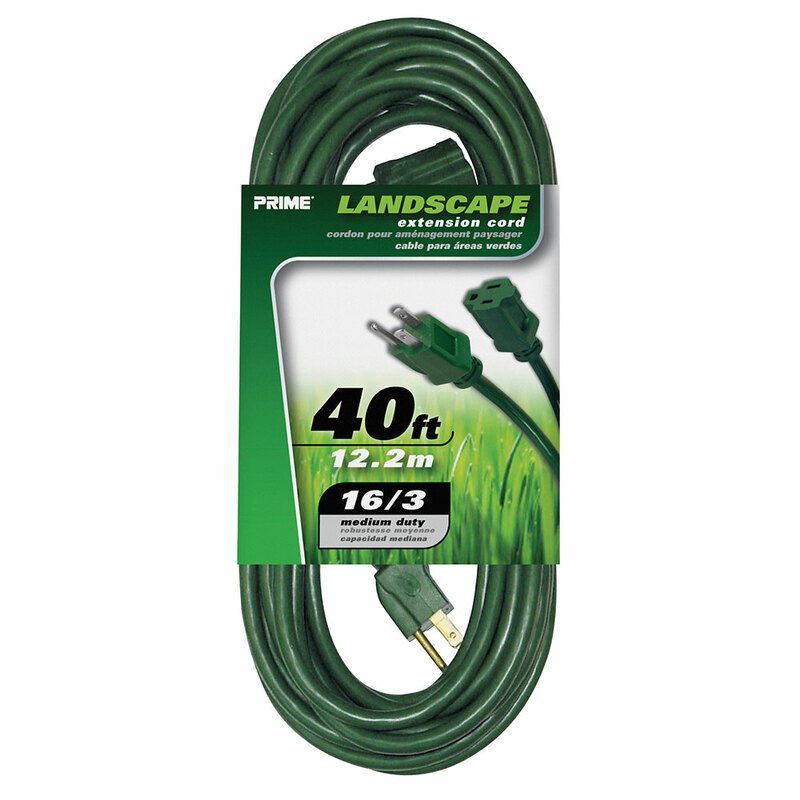 This particular 40-foot high-quality outdoor-rated(SJTW) power extension cord features 16 gauge(AWG) conductors. The rugged green jacket is durable for use outdoors. 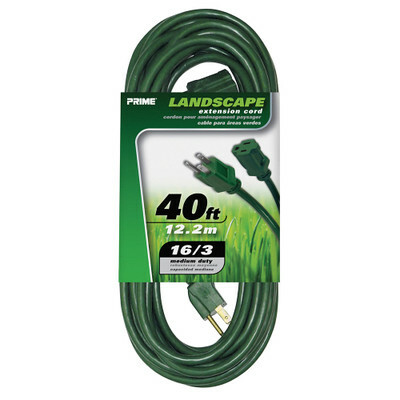 Whenever you are providing power outdoors, be sure to select an SJTW-rated power extension cord. Every garage, shed, or workshop should have at least one extension cord.